MLA Architects, as part of the SWB Team, were hired by the City of Bayport to provide a Master Plan Study for the Lakeside Park Improvements. MLA focused on the existing buildings in the park, including the existing Beach House and Picnic Shelters. The existing Beach House is located on the scenic St. Croix River and was in need of major repair and general building upgrades. MLA Architects developed a new design image, with durable materials that would carry throughout the Lakeside Park as well as other Parks and future public facilities in Bayport. The existing Beach House building’s flat roof is changed to a new sloped roof,. Also a new stone base and shake siding are added to the existing concrete block structure. 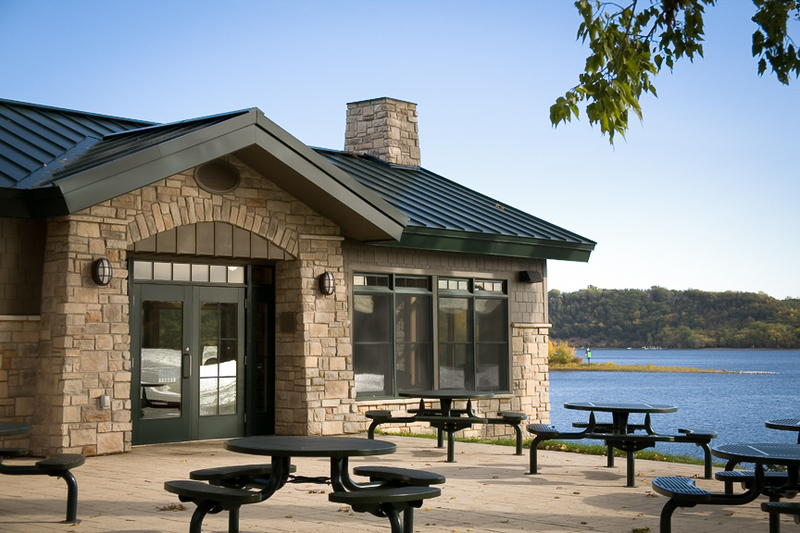 The building is designed to open up to the river, to provide a patio/observation area of the St. Croix River.